The holiday cottage of "Crown Cottage" can be found in Trelogan near Llanasa in Clwyd. Crown Cottage can sleep 4 people with 2 bedrooms to sleep your holiday party. Crown Cottage has a bedroom makeup of: All ground floor. Two bedrooms: 1 x king-size double, 1 x twin with TV. Bathroom with bath, shower over, basin and WC. Open plan living area with kitchen, dining area and sitting area with woodburning stove. 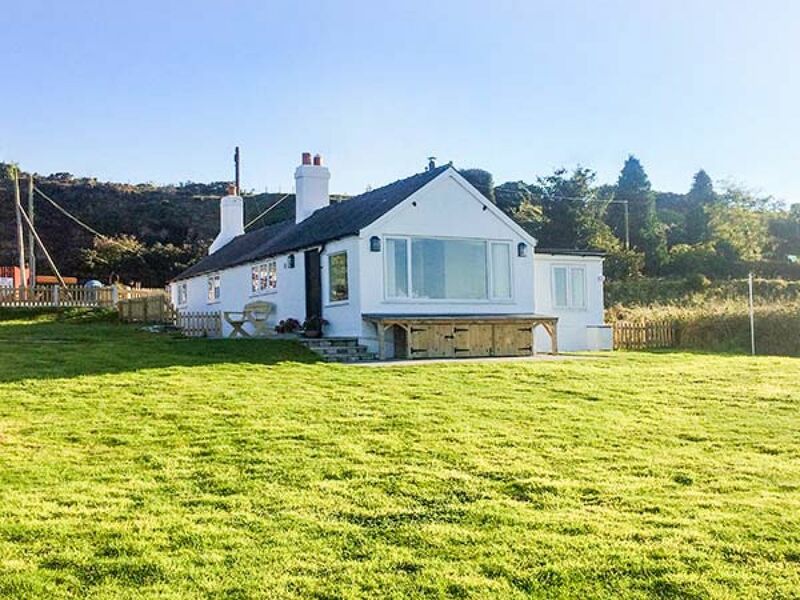 As Crown Cottage sleeps 4 people, it is perfectly sized for a family holiday. These are the reviews for Crown Cottage. There are 18 reviews. Plus it's perfect for doggy companions! Everything in the cottage was clean and of a very good quality. Everything had been thought of to ensure that who ever was on holiday in the cottage had a really good experience. There was even a lovely vase of fresh flowers on the table and a tray with tea making facilities and Welsh cakes. It really was home from home. It is situated in a lovely spot and the views from the picture window in the cottage are spectacular. the Cottage itself is exceptionally clean and well presented and is equipped with everything you could wish for. This was our visit but it will certainly not be our last. Jane, the properties owner, made,sure that our visit was so enjoyable for my wife and I and of course our little dog. Wasn't too keen on the local beaches - very touristy with lots of caravan sites and Pontins. Recommend going to Conwy and Conwy valley for the day very pretty. Perfect for chilling out with the pooches exploring the vast garden and just listen to the sound of silence. Everything you need is in Crown Cottage. Special thought has been given by the owners to the pooches, welcome treats for the doggies, welcome Prosecco and flowers for humans. Weather has been perfect, cottage has been perfect. It's going to be hard to hand back the keys as we leave today. You will not be disappointed for sure. Hope to return again for a week of mindfulness, peace and relaxation. The doggies say it was Woofly! 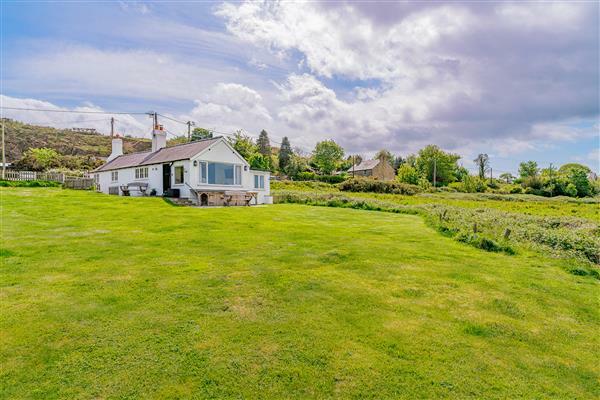 The accommodation and the location are excellent with great views across farmland and the sea beyond. To top it all, our dog clearly loved his time there. Definitely worth a visit. Our dogs really enjoyed it. Absolutely all bases were covered, from dishwasher and washing machine tablets, hand wash and lotions, all cleaning cloths and fluids, boxed tissues, everything was supplied. The views from the lounge were breathtaking, we experienced all weathers during our stay, even snow twice, and to be able to relax in the lounge with the cosy log burner watching the ever changing scenery was bliss. We thoroughly enjoyed our two weeks in Crown Cottage, and will be back. Our dogs were exhausted by all the walks we enjoyed in the nearby beaches! Already thinking about our next visit! We booked as it was dog-friendly and did not only take one dog, more properties like this would be better. Would happily book a return visit. The house was so clean, the TV is huge. The dogs loved it! Beaches for doggies are fairly local too. Would highly recommend this property. Very dog friendly - we all loved our stay. If you're looking for other cottages around Crown Cottage, we've got some cottages below which may take your liking. There are 41 cottages within 5 miles of Crown Cottage - and they have reviews too.